• 23 District (57a Melik-Karamova). 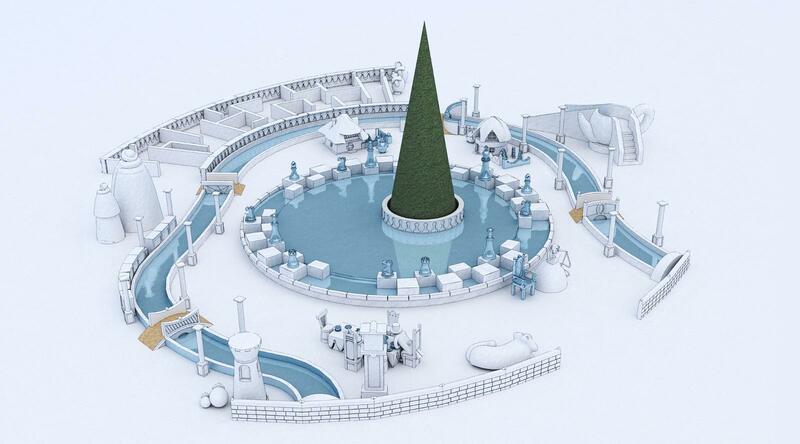 According to the technical specifications our Company developed sketch projects of snow fortresses for New Year, each of which was individually tailored design solution. 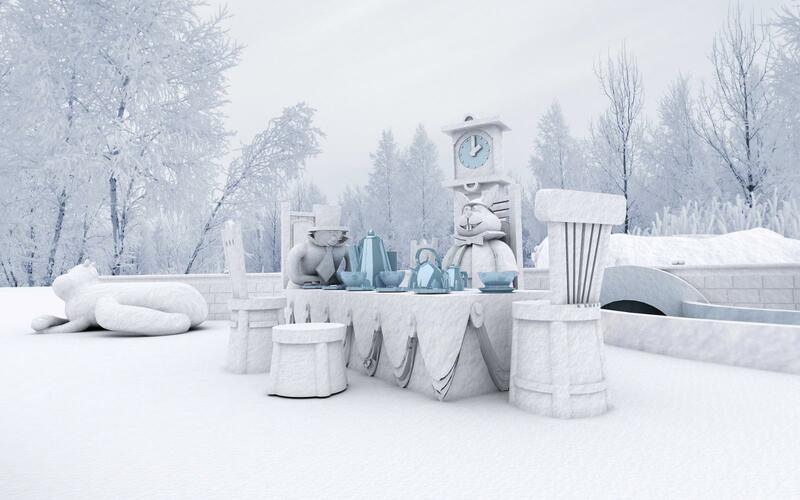 The following books and fairy tales “Through the Looking Glass” (Lewis Carroll), “Wizard of Emerald City” (Alexander Volkov) and “Adventures of Dunno and his Friends” (Nikolay Nosov) inspired the builders of the snow fortresses. 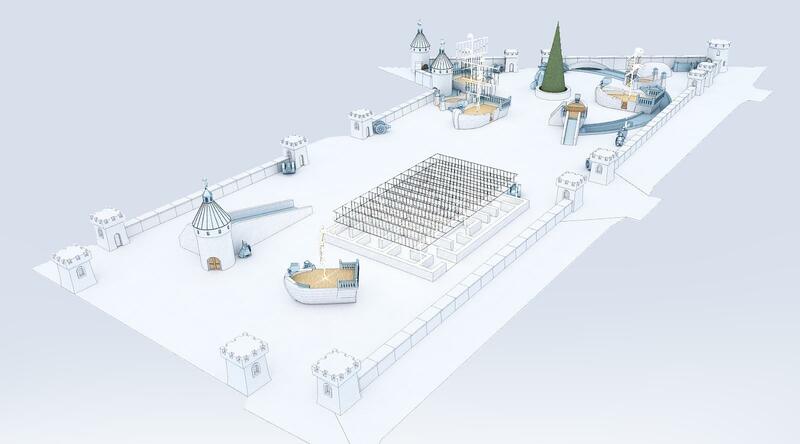 Snow fortresses included a set of elements each of which played an integral role in the snow fortress complex: recreationists will find an ice-run (for children and adults), skating rink, built mazes, fortresses and ships for small high-spirited children. 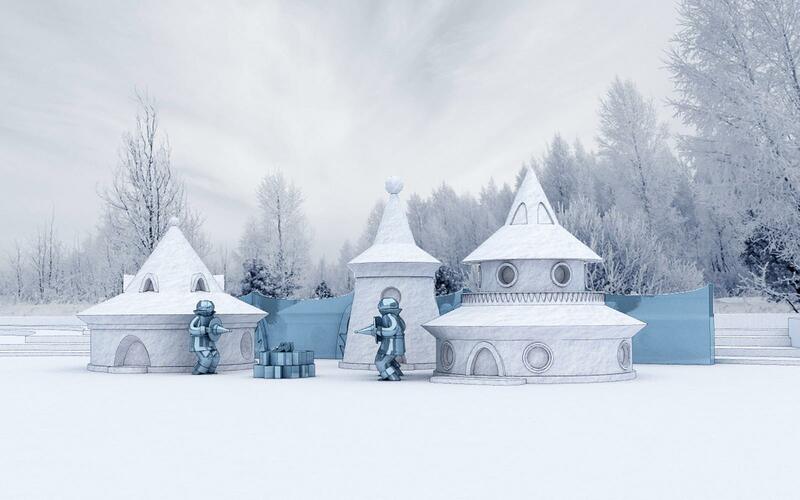 Snow figures (fairy-tale heroes, huts, false arches), completed the composition as both an artistic and playing game element. 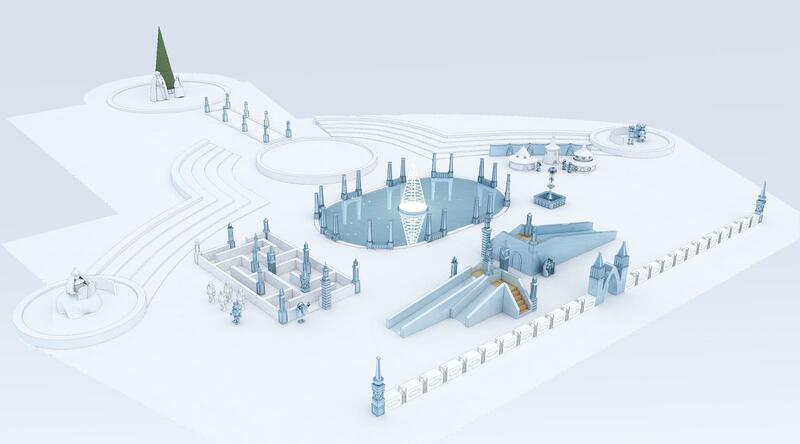 Developing a sketch project of snow fortresses is rather fascinating, but complicated and time-consuming. 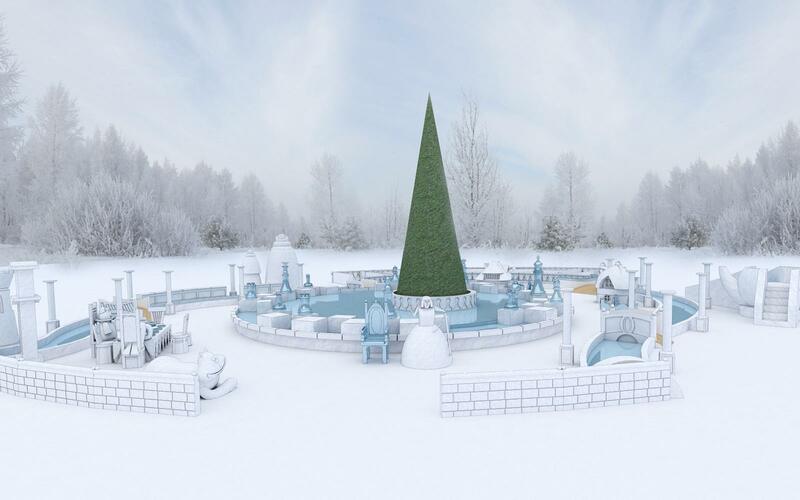 It may be said that building a snow fortress is an art- synthesis of architecture, design and sculpture. However, such a project stands out for its dimension, i.e. engineering and design components are at least as important as the artistic component. 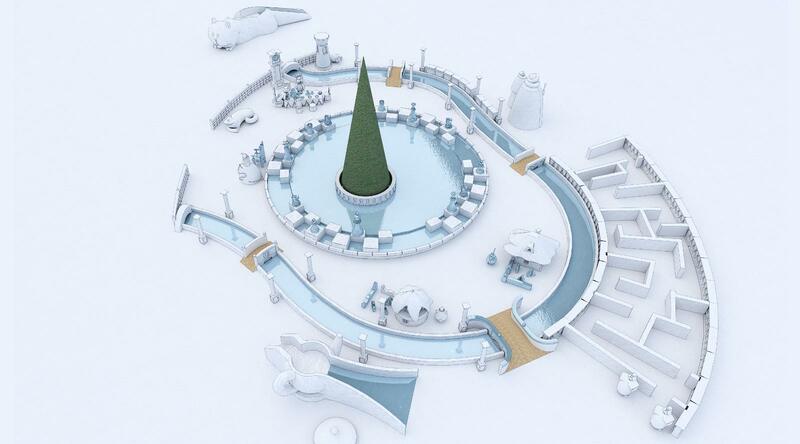 The project was developed by an architect team in cooperation with well-known Tomsk artist Tatyana Begluk who proposed the main topics of snow fortresses, heroes and figures. The preliminary work involved more than 100 drawings. Our experts were engaged with the general out-lay linking it to realistic places and dimensional sketches of the artist. 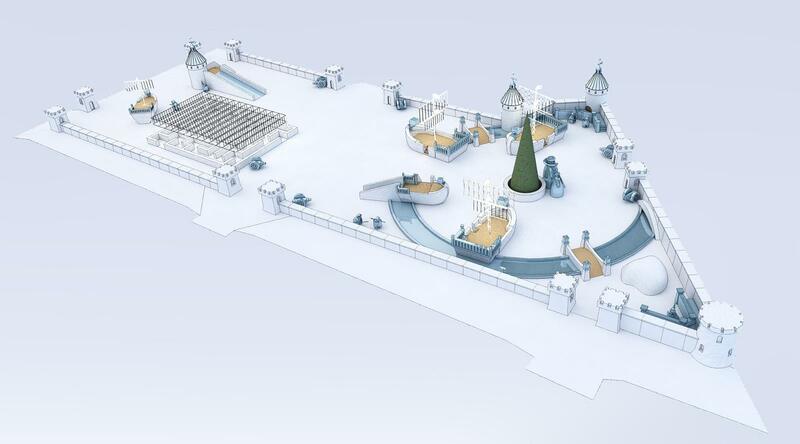 All elements of snow fortresses are complemented with drawings of principal dimensions and sizes. 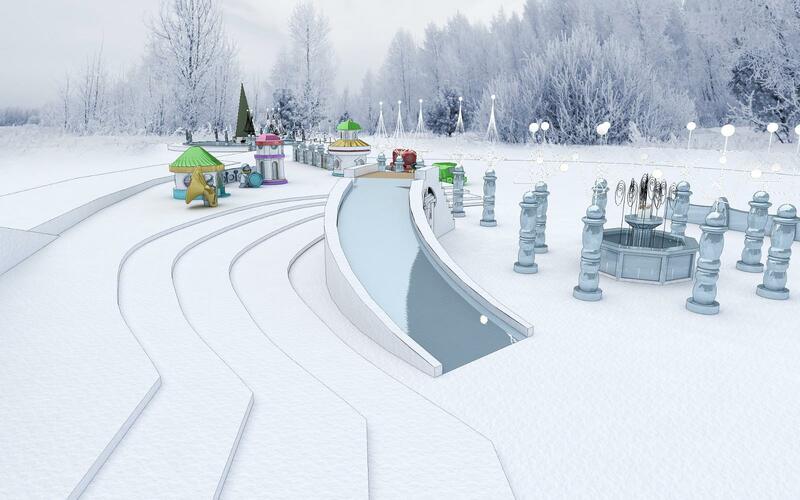 Besides, each character, slope and walls were designed in 3D format. This embraces yeoman's effort. 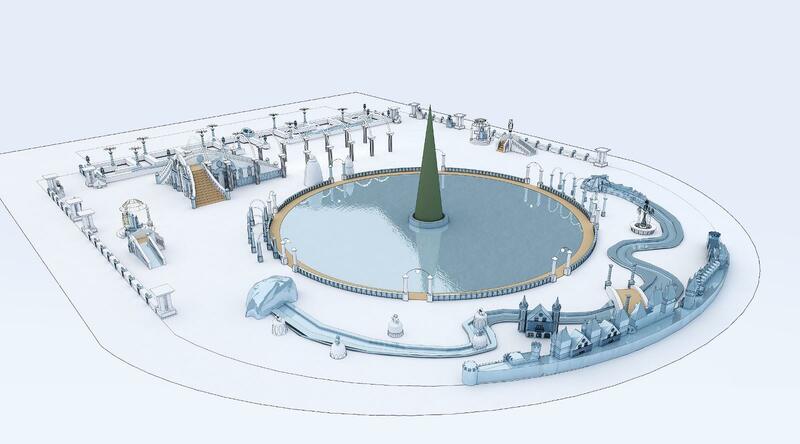 Project sketches of snow fortresses were developed on topographic underlay. 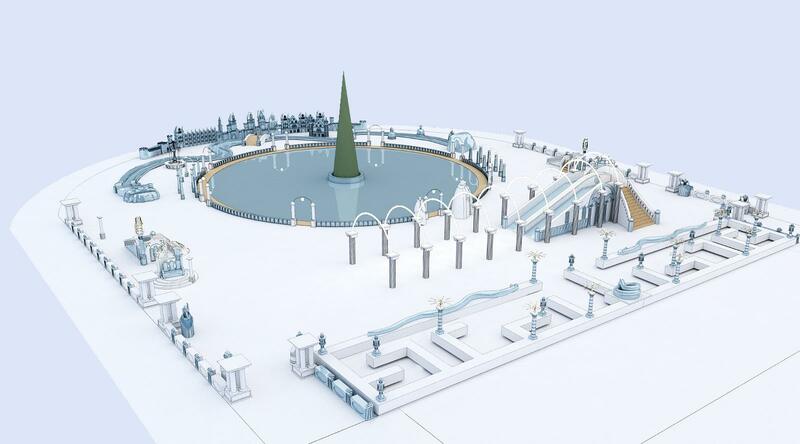 To determine the right direction or best variant of arranging fortress element on the site, specialists executed brief sketches which were presented for pre-approval to the city art department and advertising activities coordination of architecture and urban development administration department. 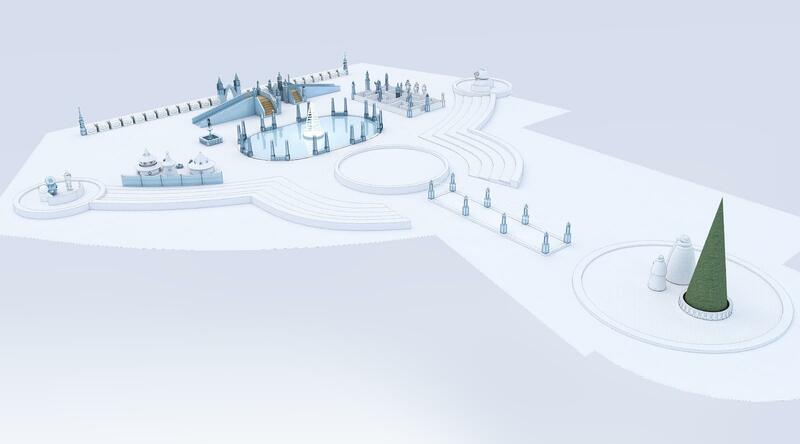 This project included not only sketches of glacial beauties, but also detailed project development embracing numerous factors, conformance with GOSTs, defining overall depth and inclination angles of ice-runs and traffic distribution system within the snow fortress. 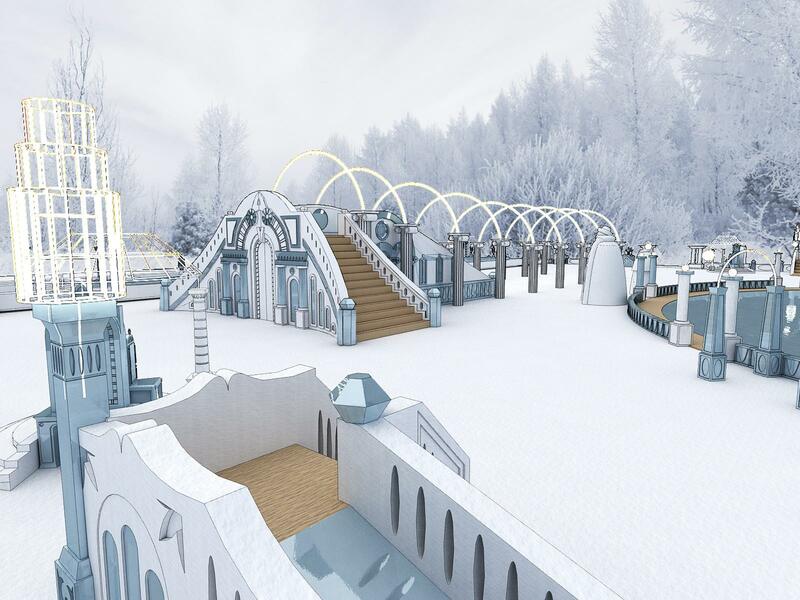 Another required specific feature is applicable material: ice- strength, transparency, possible thin lace-chiselled with through holes, ability to pass light; and snow – light carving, no transparency, low reflecting property. Thanks to the team work of artist, architects and engineers we obtained the looked-for result. Based on developed project documentation, fairy-tales are brought to life.